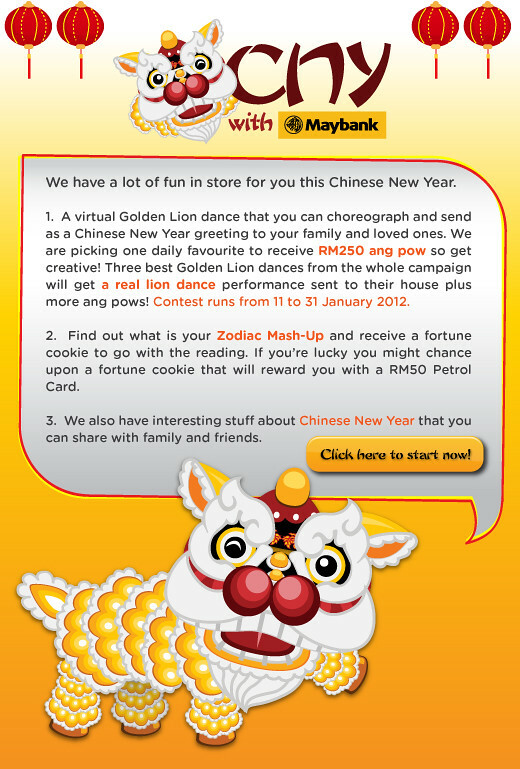 Chinese New Year is just around the corner, with this festive season, Maybank has come out with a CNY Facebook App for everyone to send e-cards and understand the CNY Facts and Zodiac. 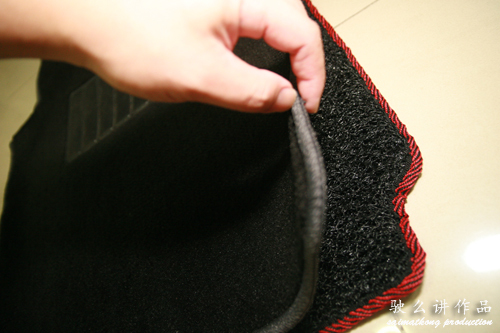 It’s easy and fun to use! 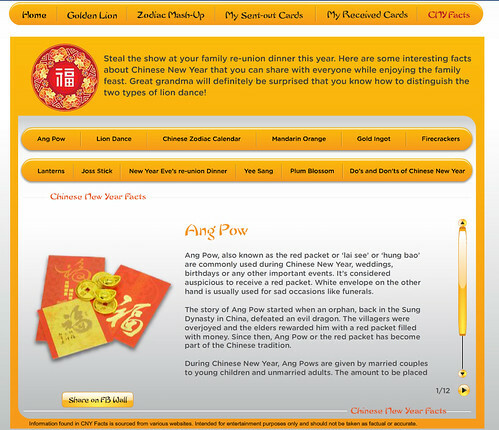 You can customized your Chinese New Year e-cards easily and with your own custom wishes to your friends and family. 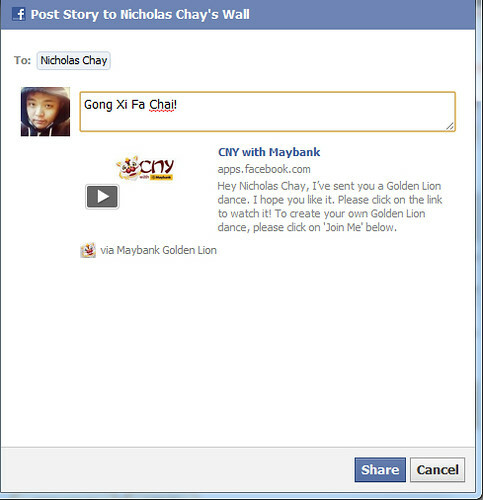 All you need to do is head to this CNY with Maybank Facebook App and start enjoying the features provided. 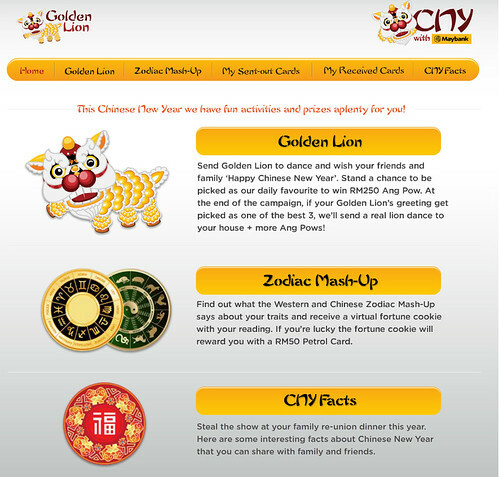 Send Golden Lion to dance and wish your friends and family “Happy Chinese New Year”. 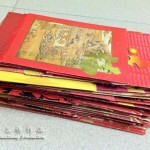 Stand a chance to be picked as our daily favourite to win RM250 Ang Pau. 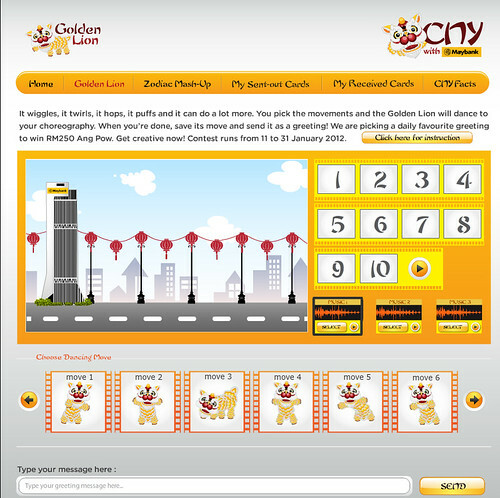 At the end of the campaign, if your Golden Lion’s greeting get picked as one of the best 3, we’ll send a real lion dance to your house + more Ang Pows! 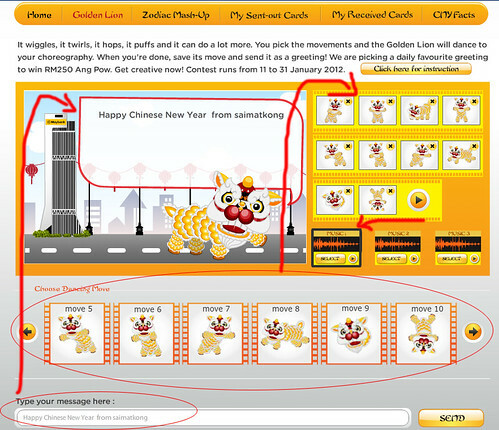 Just follow some simple steps below and you may send out your customized CNY e-Cards right away! 1) Choose a background music. 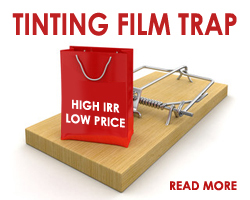 2) Drag and drop the movements into the frame. 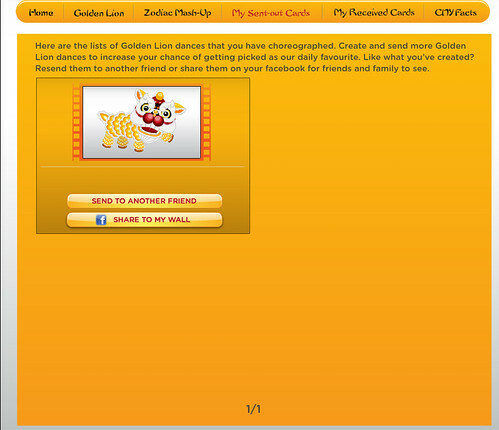 3) Type your message to go with the dance. 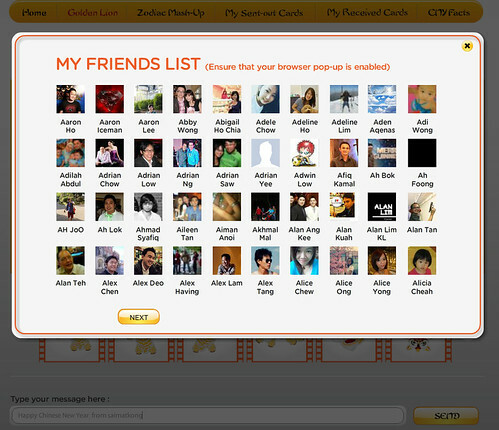 Select a friend that you want to send the custom e-cards that you just created to. 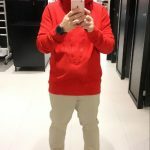 Type a message and post to your friend’s wall. 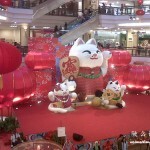 After that you able to send the same e-card to another friend or create a new e-card or view the sent out e-card. 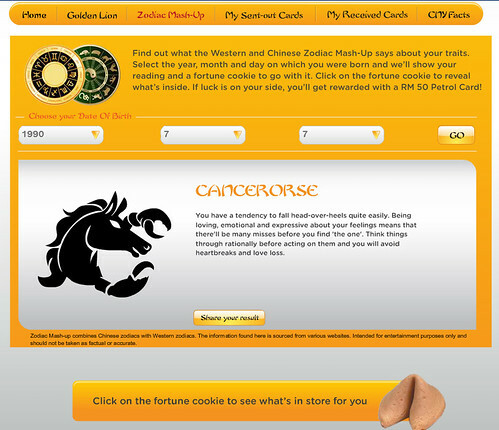 Find out what the Western and Chinese Zodia Mash-Up says about your traits and receive a virtual fortune cookie with your reading. 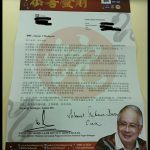 If you’re lucky the fortune cookie will reward you with a RM50 Petrol Card. Setal the show at your family re-union dinner this year. 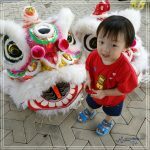 Here are some interesting facts about Chinese New Year that you can share with your family and friends.